A lot of times people love the hutch idea but don't have the space. 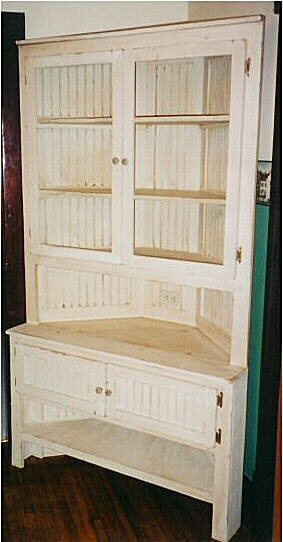 That started the Corner Hutch idea. It takes up less space, has a lot of storage and has the Hutch Charm. Don't ask what size this one is, it's big, but tell us what size you want.